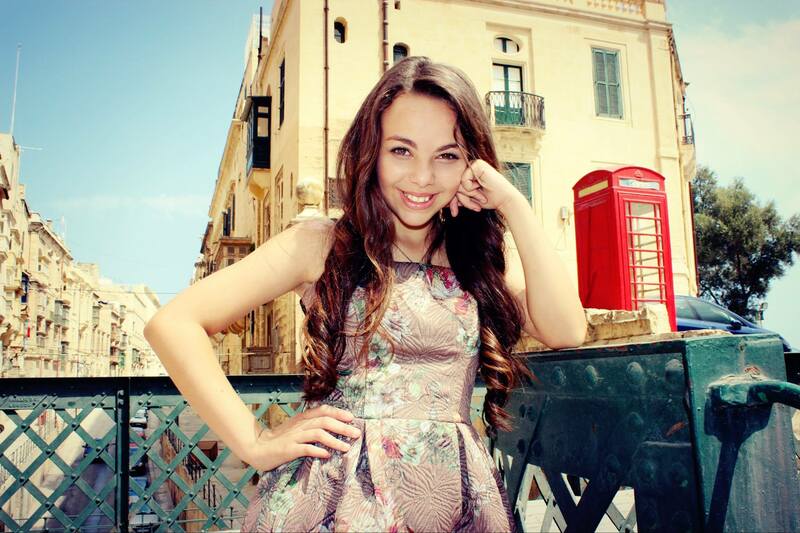 Federica Falzon is the little girl from Malta with the big voice. Her career has included performing at live concerts, singing alongside the internationally acclaimed tenor Joseph Calleja and winning a prestigious talent show on Italian national TV. 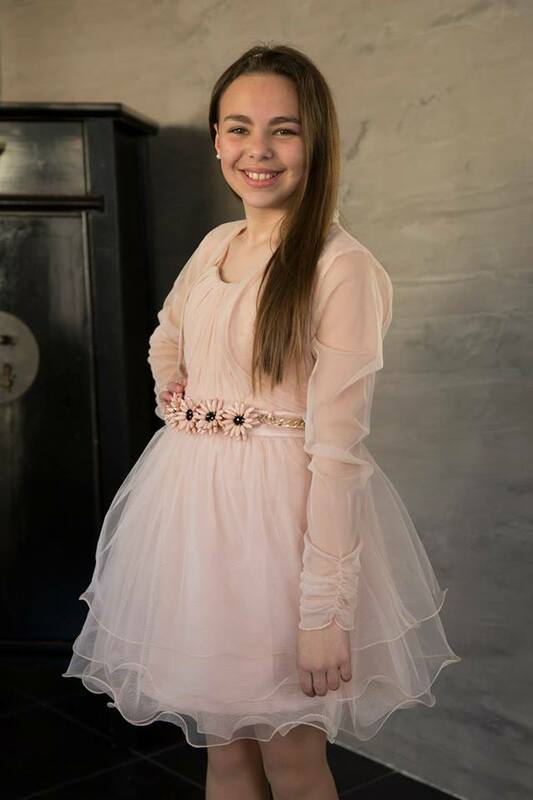 Federica is still only 11 years old and her next big step is competing in the final of the Junior Eurovision Song Contest, taking place in her home country on 15 November 2014. 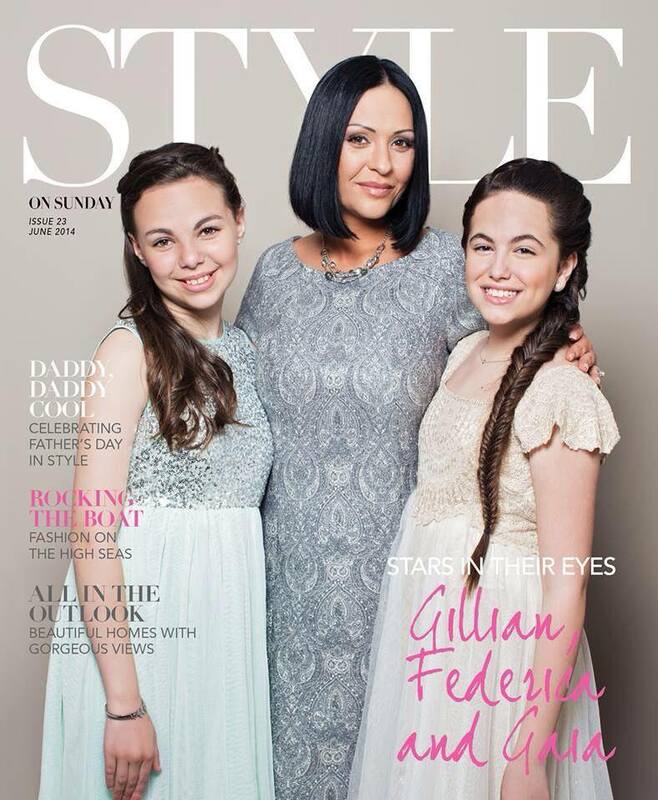 Federica Falzon was born on the 17th February 2003 in a rural village Ħal Safi. At a very young age she showed interest in music especially singing. Since the age of 8 grandpa used to take her to karaoke clubs where most of the people who heard her singing, encouraged her to take singing seriously as she had a unique voice. At the age of 9 she was noticed at school by her music teacher, who heard her singing in the school yard. Federica took school vocal lessons very seriously which led her to sing in front of an audience in Festa Hiliet 2011, a yearly event organized by St. Benedict College where she interpreted the country song "Rose Garden" of Lynn Anderson and a solo part from the song "Sailing" of Rod Stewart, accompanied by the college orchestra under the direction of Maestro John D. Zammit. Maestro Zammit was impressed with her voice and encouraged her to start taking vocal coaching. She participated for the first time at a local festival in May 2012 with the country song "Coalminer's Daughter", where she placed in the 2nd position. On 3rd July 2012 she started to attend at La Voix Academy. Federica started as a country-pop singer, but discovered her passion for opera music through her singing tutor and mentor Gillian Attard. Ms Attard urged her to opt for classical music as she noticed that her talent and ability was leading her to a promising mezzo-soprano with an incredible depth. She started competing in local festivals with songs such as "La Voix", "Phantom of the Opera", "Nella Fantasia", "Nessun Dorma", "Canto della Terra", "Spente le Stelle" and many more where she always managed to place in the first places. After winning seven Overall Cups, in December 2012 she also made it to The Grand Prix Winner of the Year title in a Festival organized by Erseb Productions. In February 2013, Federica was given the opportunity to represent Malta in the Sanremo Doc, an international competition held in Italy. She triumphed with her rendition of "La Voix" by Malena Ernman, Sweden's entry in the 2009 Eurovision Song Contest. With the backup of her loving parents and so called her guardian angel grandpa, she never looked back. Again she was invited by Maestro Zammit to honour the Luqa Union Band Club and perform during the Good Friday Procession accompanied by the local brass band. She sang live "Stava Maria Dolente", "La Croce" and "Pie Jesu". Then again, the crowd was amazed by her voice, many commented about her unique mature voice at such a young age. In July 2013 Federica, was once again invited by the same Union Band Club to sing on the occasion of St. Andrew's Feast in Luqa main square. She performed the song "Tragedy" of Malena Ernmann, musical arrangement for the occasion by Mro John D. Zammit. This performance amazed all those present in Luqa Square and was given a well deserved standing ovation. To reciprocate, Maestro Zammit invited Federica on stage again to do the same performance all over again. For the second time, the crowd could not stop applauding in return for her impeccable performance. Since then, Federica was invited to perform on several occasions during the local festa season around the island. Federica also won Sajf Ma' Gaffiero show with cover of "It's My Life" by Cezar. 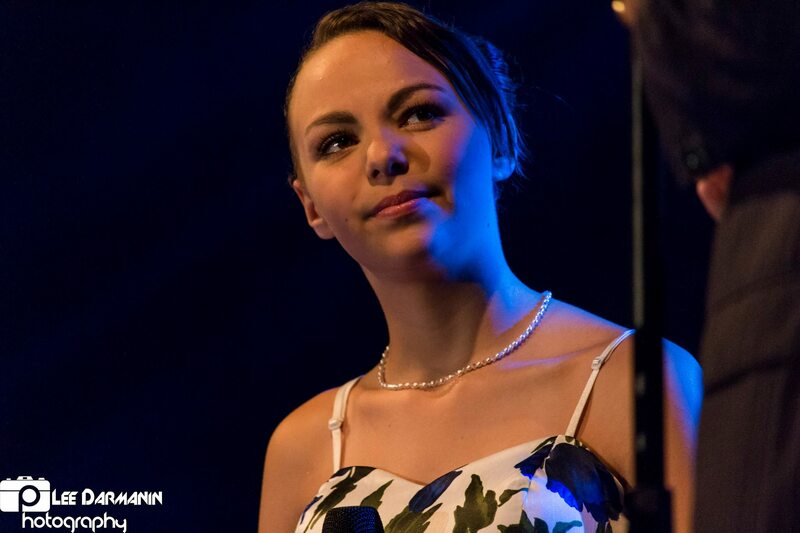 On November 2nd 2013 Federica placed first with original song "Ilwien il-Holqien" (written by Stephen Baldacchino and composed by Dominic Cini Minik) in Festival Ghanja Gmiel is-Seba Noti, organized by Erseb Productions. Big success came for Federica with victory in the 7th edition of Italian TV show "Ti Lascio Una Canzone". Federica was put together in a duet with Vincenzo Carni as the producers thought that they were a perfect fit and they proved to be right. They were right. Week-after-week their performances just kept on getting better. Over the course of the program this dynamic duo won five shows out of eight and placed in second place for the remaining three. In finals the duo sang "Un Amore Cosi Grande" and "Il Mare Calmo Della Sera", both originally performed by Andrea Bocelli, and with the support of both the public and the jury, they were declared the winners with first of these songs. In the last episode, "Champions Cup" Federica and Vincenzo performed "Caruso" of Lucia Dalla. "Ti Lascio Una Canzone" has also produced San Marino's 2013 JESC entrant Michele Perniola and Italy's 2014 Vincenzo Cantiello, who competed in the same series as Federica. "My parents and I would fly up to Rome every Thursday. I would head down to RAI's studios for rehearsals right after arriving at the hotel. I'd have further reheasarals on Friday and on Saturday before the programme. On Sunday at night, we would return to Malta and on Monday I would go back to school. That same evening, we would receive confirmation that we would be going back up to Rome that week. On Tuesday I would receive the songs that I would have to learn by Thursday", she described "Ti Lascio Una Canzone" routine. 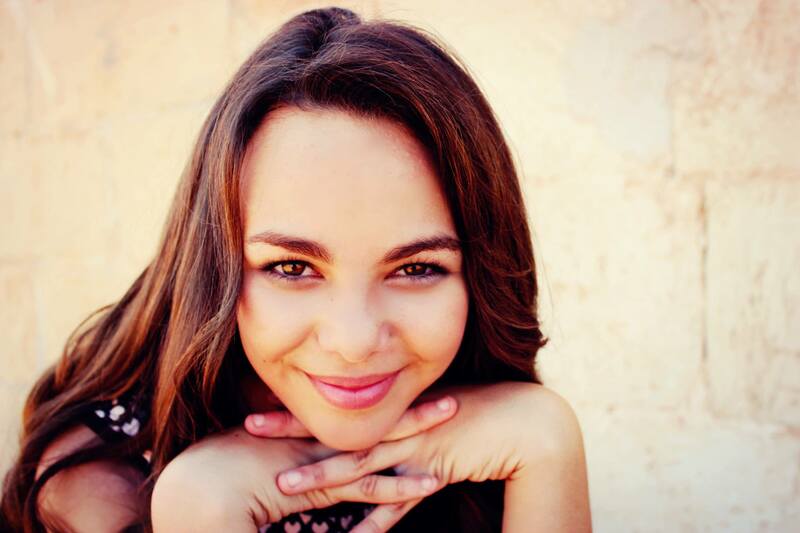 On April 20 Federica was the first singer to be announced competing in Junior Eurovision 2014. Next day she and her team were received by Prime-Minister of Malta Dr Joseph Muscat. On June 8 little singer has been awarded chance to leave her hand mark on Malta's Walk of Fame (Bay Street in St.Julians). In July 2014, Falzon performed a cover of Conchita Wurst's "Rise Like a Phoenix" alongside Junior Eurovision 2013 winner Gaia Cauchi at the Malta Football Association Awards. 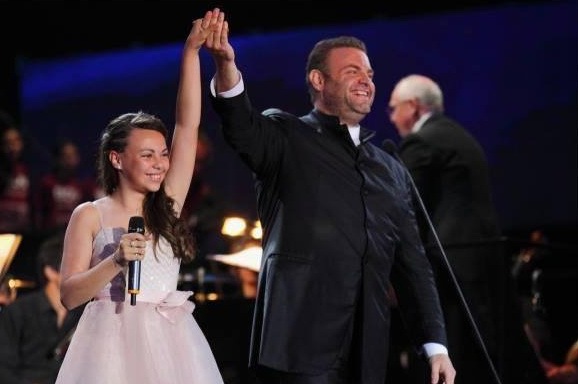 On July 18, 2014, Falzon was one of the guest performers in the annual concert held on the Granaries Floriana by Maltese tenor and internationally acclaimed Joseph Calleja sining duet "In Amore" accompanied by a 200-strong children's choir and a fully-fledged live orchestra. On July 21 she was guest of The Summer Hit Song Contest 2014 with a cover of the Slovenian Eurovision 2007 entry "Flower of the South". On August 7, she took part in the first nationwide concert of La Voix Academy taking place at the Ghaxaq Training Grounds, where Federica performed duets with Vincenzo Carnì, Marco Vito, Ludwig Galea and Gaia Cauchi. Together with Gaia Cauchi and Clive Gauci has performed song "Xemx" at TV marathon devoted to 50 years of Independence of Malta. In recent months she has also been guest of various TV shows including Xarabank and Malta Llejla TV Show. More videos of Federica are available here and here. "I would be lying if I were to say that my life hasn't changed these past few months. Last June, I visited Isola Capo Rizzutto in Calabria, Italy, and people stopped the car I was in to speak to me and take photos with me. At the end of the day though, I am still the same Federica as I was before I became successful. While my friends are very happy for me, they are still treating me as they have always done, which is how it should be. Success should never change anyone"
Federica plays handball at school and also likes watching football. She likes to watch the Disney Channel. Her favourite destinations are England, where her family used to live and Italy. Her music influences include Joseph Calleja, Rod Stewart, Sam Smith, Lana Del Ray, Sarah Brightman and John Legend. 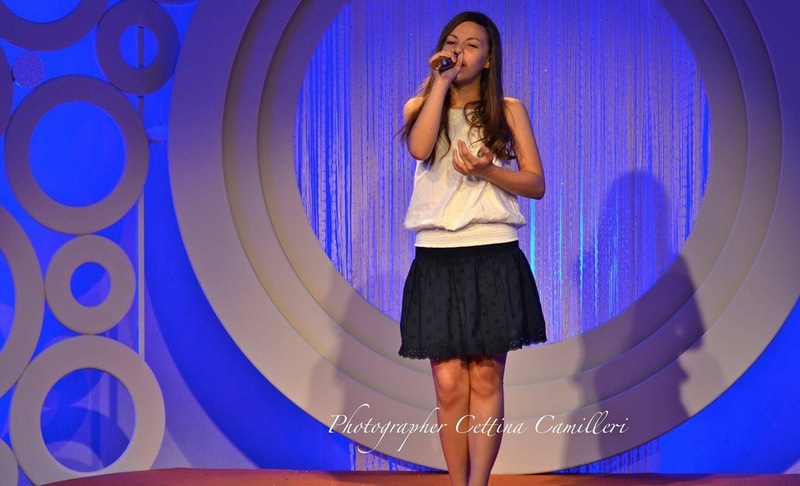 Federica's Junior Eurovision entry is be made in rare for JESC pop/opera style and is to be sung entirely in English. It is written by Matt Muxu Mercieca and composed by Elton Zarb with the assistance of the vocal coach Gillian Attard, same team responsible for the winning song of Gaia Cauchi "The Start". Gillian Attard expresses that the song is "super emotional", which makes her shiver every time she hears it. Federica's colours in her voice and the depth of the lyrics are what inspired the musicians to compose this song, stated Elton Zarb. Matt Muxu Mercieca added that "to obtain your dream you must go through obstacles and rise above anything in the way in order to find way out of the storm and let the world see the light inside of you". - Hi, Federica, and first of all our congratulations for being chosen Maltese representative at Junior Eurovision! How did you learn about going to JESC and what was your first reaction to the news? - I was so happy and excited when I was told I would be representing Malta in the Junior Eurovision Final. I am proud to be representing my country. I was chosen after winning Ti Lascio una Canzone on Rai Uno in Italy. - Can you tell us more about your song and what is the message of it? - It's called Diamonds and it has a special message, that you should follow your dreams because no dreams are out of reach. I really like the song. I hope others will too. - How was it created, have you been involved in the process yourself? - I did have a hand it. I sat down with the lyricist and we came up with "together we can shine like diamonds in the sky." Song writing is something I would like to explore more. - You have already filmed music video for your song, what was the most memorable moment from shootings? - That's an easy one. I had to run into the sea wearing a dress. It was crazy. And very uncomfortable too, because when I came out of the water I had sand sticking to me. I couldn't wait to change. - Have you already planned your stage act for Malta? Will there be any backings, or you will be alone on the stage? - I will be performing alone. At the moment I am concentrating on vocal lessons and choreography. I'm seeing my vocal coach a lot and doing all my exercises. That's the important thing to do now before I start rehearsing on the big stage, and when we will look at staging. - Is it difficult for you to keep your voice in shape for such a performance as your song demands? Any special secrets? - There are lots of things I have to do. I have vocal exercises that I must do several times a day. And there are some of restrictions on food and drink. For example, I mustn't have cold drinks. When I drink water it has to be at room temperature. - I'm sure you have watched JESC in the past, what were your favourites, besides own Maltese entries? - There was a song from Sweden in 2009, called Du by Mimmi Sandén, that was very nice and I liked Georgia's entry last year, The Smile Shop - Give me your smile. - You probably have already chatted about JESC with Gaia or other previous Maltese entrants, what advice have you received from them? - Gaia and I have the same vocal coach. I was screaming with delight when she won last year. She's told me what to expect in the finals. The best advice is, of course, to give as good a performance as you can. - I'm really looking forward to meeting the other contestants. I like the songs from Russia and Bulgaria. - To give my best. There's strong competition and I don't know what my chances of winning are. But, whatever happens, I want to be able to say I did as well as I possibly could. - You're representing hosting country at the event, do this add pressure on you? And would you prefer to take part in the show travelling somewhere to the other country instead? - I think there's an advantage to performing in my home country. I'm hoping the audience in the hall will support me. I think Mum and Dad are pleased that the contest is in Malta. They spent many weekends travelling to Italy when I was competing in Ti Lascio una Canzone and are pleased they don't have to get on a plane again. - Singing and school is a big part of my life. But I like to spend time with friends. My hobbies include drawing, crafts, cycling and watching football. - I have to manage my time well. In the week of the contest I shall put Junior Eurovision first and miss school but I intend to borrow notes from my friends and catch up quickly afterwards. - I like arts, technology and science. I speak Maltese, English and Italian and I've just started to learn Spanish. - Do you plan to continue working in pop-opera genre in future, or you would like to experiment? - I want to explore all sorts of music. - Are there many original songs in your repertoire besides "Diamonds"? Any plans to release something new soon? - I have another song, in Maltese, but I want to work with others on developing a repertoire. - Do you have any music idols, or simply favourite singers to get inspiration from? - I am a big fan of the Maltese Tenor, Joseph Calleja, who has fans around the world. I also like Sarah Brightman, Rod Stewart, Sam Smith, John Legend and Lana Del Ray. - Have you been considering any other career for the future apart of singing, and what could that be? - It's too early to answer that. But at the moment I just love singing. - Since we all would be coming to Malta in less than a month time, can you give us couple of essential sightseeing tips? What are your favourite places on the island? - The weather should still be sunny when you come so you should go to the beautiful beach at Mellieha. Also, worth seeing are the city of Mdina, Vittoriosa, Valletta and the Grand Harbour and the Blue Grotto. And make sure you try pastizzi, a savoury snack with cheese or peas. On the 7th November Federica Falzon will be making another guest appearance on the programme Xarabank of TVM 1, hosted by Peppi Azzopardi, where she will give first live performance of her contest entry "Diamonds". The show airs from 20:50 to 23:20 CET and can be seen live here. Yesterday Federica attended the Gieh l-Imqabba celebrations, held as part of the annual events for the 21st edition of Jum l-Imqabba. The event was organised by the Local Council of the village of Imqabba and held at the Imqabba Primary school which forms part of St Benedict’s College. Federica's school in the nearby village of Kirkop also forms part of this institution. Executive Secretary Mr Anthony Bonello explained that "this is an evening in which recognition is given to distinct people who were of service to our locality". Federica Falzon, whose relatives are from Imqabba, was awarded an honour for her successful international achievements in the TV competition Ti Lascio Una Canzone, held on Rai Uno earlier this year. After Ms Charlene Zammit, Imqabba Vice Mayor, presented Federica with the recognition, the local band directed by Mr. Calleja played a number of famous pieces from the Italian TV show. 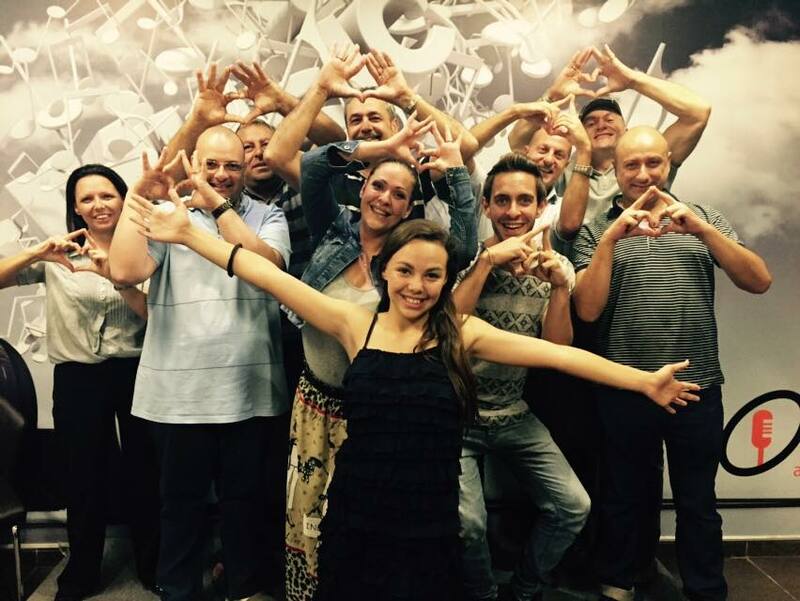 Last entry of Junior Eurovision 2014 - song "Diamonds" of Federica Falzon from Malta has been revealed today. Watch TVM report on the presentation of "Diamonds" here. Federica also performed her entry in Xarabank show. 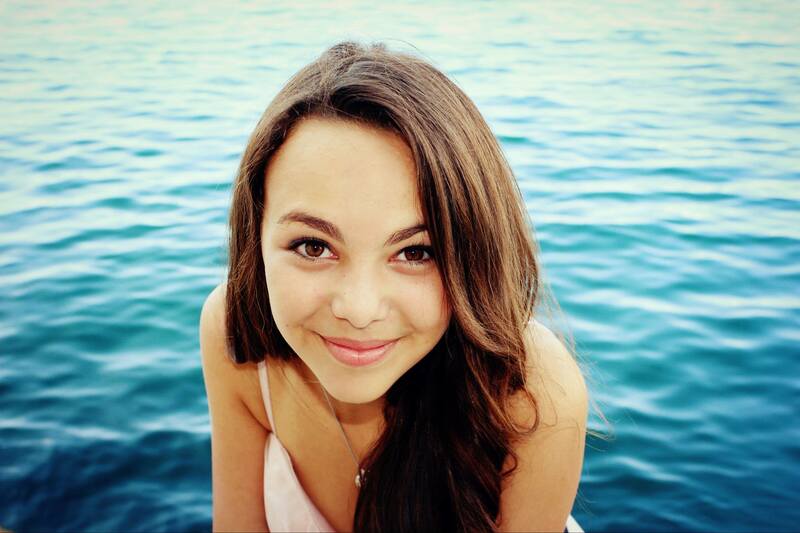 Last Junior Eurovision 2014 entry - "Diamonds" of Federica Falzon - will be officially presented during a launch taking place today at mid-day (CET) at St Benedict's College in Hal Kirkop. More than 300 students that attend the college #together with Federica Falzon will be present for the launch. The launch will be streamed live and direct from the school. 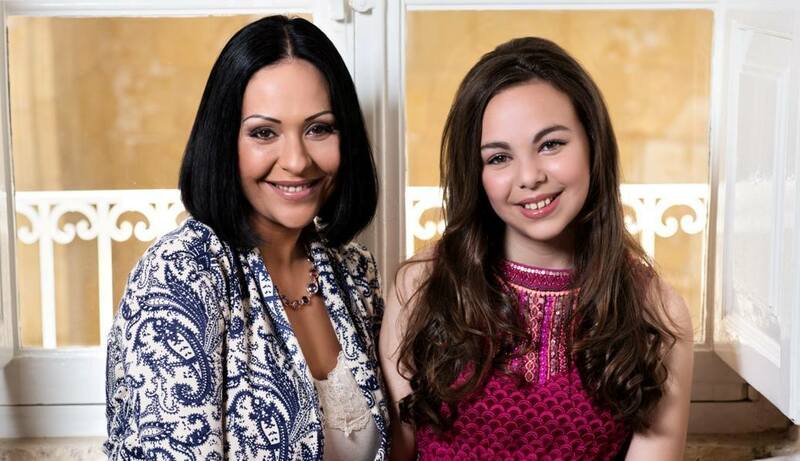 The music video will be available online on the YouTube channel of the Junior Eurovision immediately after the launch. "The video is about this ambitious imaginative girl who reaches her visions. The style is surreal, abstract and creative. It takes place in two different locations. The first location shows Federica in a white room. This room represents the girl's mind. The second location is at the beach; which is where the girl was looking for her dreams. The song and the video use diamonds as a metaphor to suggest that no dream is out of reach as long as one believes in one's own dreams." "The song inspired me immediately! I also have many dreams. Though at first some dreams may seem out of reach, if one works on them, they may become possible and reachable", said Nadya Cachia, the video director. 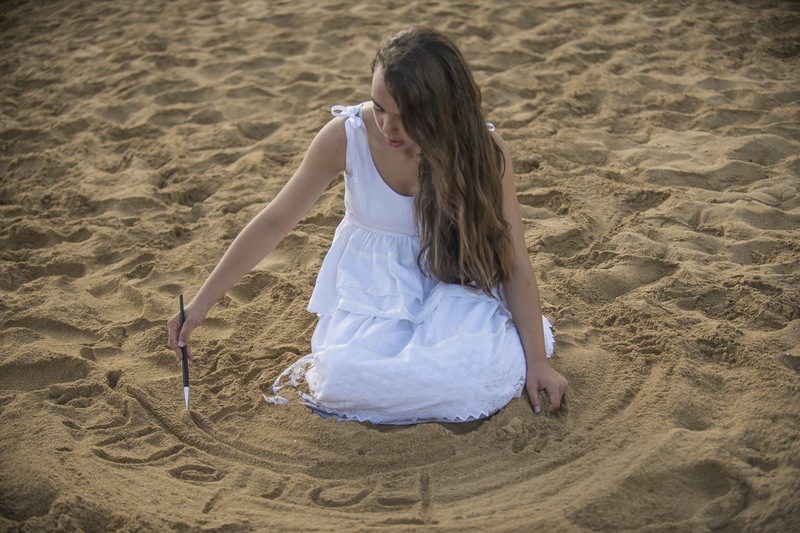 The video of the song Diamonds was produced and directed by VSquared Media and Entertainment for PBS Ltd.
Federica Falzon, who will be representing Malta in the upcoming Junior Eurovision Song Contest with the song Diamond, has taken part in the music video for the song "Happy" produced by Dr. Klown. Dr. Klown was founded in 2010 with the goal of cheering up young children recovering at Mater Dei hospital. The video was produced and edited by Nicole Tabone and Victor Abela, who are both clown doctors! Abela also took care of the filming along with Chris Azzopardi. The aim of the music video is primarily to create awareness about what clown doctors do; offering smiles and colour to the kids in the children's wards at Mater Dei. They try to give an alternative form of medicine to these children… And that's laughter! Another aim of this video is to encourage the public to join the clown doctors on the 18th of October at The Point in Sliema. This will be the first ever official Dr.Klown day in Malta. Clown doctors will meet the public, entertain, as well as speak about their experience as clown doctors. Various Maltese personalities will also be joining the clown doctors' event on this day. "I feel happy to be able to bring some joy to other children, especially the ones who are being treated at the hospital", said Federica Falzon after the filming. Federica, Junior Eurovision 2013 winner Gaia Cauchi, together with Eurovision 2013 Maltese ambassador Gianluca Bezzina make a cameo appearance in the video. Other popular Maltese personalities such as Ron, Salvu, Carmelo Abela and David Agius also feature in the video. Федерика Фальцон - маленькая девочка с Мальты с большим голосом. Ее карьера включает выступления на живых концертах, дуэт с международно-известным тенором Джозефом Каллея, и победу на престижно шоу талантов на телевидении Италии. Федерике всего 11 лет, и следующим большим шагом в ее карьере станет участие в финале конкурса Детское Евровидение, которое пройдет у нее на родине 15го ноября 2014 года. Федерика Фальцон родилась 17го февраля 2003 года в мальтийской деревне Аль-Сафи. Уже в раннем возрасте девочка проявила интерес к музыке и пению. С 8 лет дедушка водил Федерику в караоке клубы, где ее пение могли услышать множество посетителей, призывавших девочку с уникальным голосом начать заниматься пением на серьзном уровне. В 9 лет ее талант был замечен учителем музыки, который услышал ее пение в школьном дворе. Федерика серьезна отнеслась к школьным урокам вокала, которые привели ее к выступлению на фестивале Festa Hiliet 2011, ежегодном мероприятии, организуемом колледжем Св.Бенедикта, где она исполнила кантри песню "Rose Garden" Линн Андерсон и сольную часть песни "Sailing" Рода Стюарта в сопровождении оркестра под управлением маэстро Джона Заммита. Маэстро Заммит был впечатлен ее голосом и также призвал ее начать заниматься вокалом профессионально. В мае 2012 года Федерика впервые приняла участие в местном фестивале с кантри песней "Coalminer's Daughter", и заняла на нем 2е место. 3го июля 2012 Федерика стала посещать музыкальную академию La Voix. Федерика начинала петь в стилях поп и кантри, но потом при помощи педагога Джиллиан Аттард открыла интерес к оперной музыке. Аттард призвала ее обратиться к классике, поскольку заметила ее талант и возможности, которые привели к становлению многообещающего голоса меццо-сопрано. Она начала принимать участие в местных фестивалях с такими песнями, как "La Voix", "Phantom of the Opera", "Nella Fantasia", "Nessun Dorma", "Canto della Terra", "Spente le Stelle" и многими другими, практически всегда занимая первые места. После получения семи вокальных кубков, в декабре 2012 года она завоевала титул обладателя Гран-При года на фестивале, организованном Erseb Productions. В феврале 2013 года она была отобрана для участия в фестивале Sanremo D.O.C. , где она соперничала с мальтийскими и итальянскими певцами различных возрастов. Федерика заняла первое место на этом престижном фестивале с песней Малены Эрнман "La Voix". При поддержке любящих родителей и ее ангела-хранителя дедушки, Федерика более не сомневалась в своем выборе. Снова она была приглашена маэстро Заммитом для того, чтобы отметить открытие Luqa Union Band Club и выступить во время празднований Великой пятницы в сопровождении местной духовой группы. Там она исполнила "Stava Maria Dolente", "La Croce" и "Pie Jesu". Собравшиеся вновь были впечатлены ее голосом, многие были удивлены, что у такой маленькой девочки может быть такой взрослый, профессиональный оперный вокал. В июле Федерика была приглашена выступить на центральной площади города Луа на празднике Св.Андрея. Там она исполнила песню "Tragedy" Малены Эрнман со специальной аранжировкой маэстро Джона Заммита. Это выступление впечатлило всех собравшихся на площади в Луа, и завершилось овацией. Маэстро Заммит несколько раз вызывал Федерику на сцену для выступления на бис, а толпа не прекращала апплодировать ее невероятному исполнению. С того момента Федерику стали приглашать выступать на различных мероприятия фестивального сезона по всей Мальте. Федерика также стала победительницей телешоу Sajf Ma' Gaffiero с кавер-версией "It's My Life" Чезара. 2го ноября 2013 года Федерика заняла первое место с оригинальной песней "Ilwien il-Holqien" (которую написали Стивен Балдаккино и Доминик Чини Миник) на фестивале Ghanja Gmiel is-Seba Noti, организованном Erseb Productions. Большой успех пришел к Федерике с победой на 7м сезоне итальянского ТВ шоу "Ti Lascio Una Canzone". Продюсеры шоу объединили Федерику в дуэт с Винченцо Карни, посчитав, что они отлично подходят друг к другу - и в итоге оказались правы. Неделю за неделей их выступления становились лучше и лучше. За сезон этот дуэт одержал победу в пяти шоу из восьми и занял второе место в оставшихся трех. В финале дуэт исполнил песни "Un Amore Cosi Grande" и "Il Mare Calmo Della Sera", обе из репертуара Андреа Бочелли, и, при поддержку телезрителей и жюри, были объявлены победителями с с первой из них. В итоговой программе, "Кубок Чемпионов", Федерика и Винченцо исполнили песню "Caruso" Лучо Далла. Из "Ti Lascio Una Canzone" также вышли представитель Сан-Марино 2013 Микеле Перниола и Италии 2014 Винченцо Кантиелло, участвовавший в том же сезоне, что и Федерика. "Мои родители и я вылетали в Рим каждый четверг. Сразу после заселения в отель, я направлялась в студию RAI для репетиций. Дальнейшие репетиции проходили в пятницу и субботу. После шоу, вечером в воскресенье я возвращалась на Мальту, и в понедельник шла снова в школу. Тем же вечером мы получали подтверждение от организаторов, что мы вышли в следующий этап и мне снова предстоит отправиться в Рим. Во вторник я получала песни, которые мне предстояло разучить к четвергу", Федерика расписывает круговорот "Ti Lascio Una Canzone". 20 апреля 2014, Федерика стала первой официально объявленной участницей Детского Евровидения 2014. На следующий день она и ее команда были приняты премьер-министром Мальты Джозефом Мускатом. 8го июня юная певица получила право оставить отпечаток своей руки на Мальтийской Аллее Славы (Bay Street в Сент-Джулиансе). 14 июля Фальцон исполнила кавер-версию песни-победительницы Евровидения 2014 Кончиты Вурст "Rise Like a Phoenix" в дуэте с победительницей Детского Евровидения 2013 Гайей Кауки на церемонии премий Мальтийской футбольной ассоциации. 18го июля 2014 года она стала одной из специальных гостей концерта в Granaries Floriana всемирно известного мальтийского тенора Джозефа Каллея, исполнив с ним дуэт "In Amore"вместе с хором из 200 детей и живого оркестра. 21го июля она стала гостьей The Summer Hit Song Contest 2014 с кавер-версией словенской песни с Евровидения 2007 "Flower of the South". 7го августа она приняла участие в первом национальном концерте академии La Voix, прошедшем на Ghaxaq Training Grounds, где Федерика исполнила дуэты с Винченцо Карни, Марко Вито, Людвигом Галеа и Гайей Кауки. Вместе с Гайей Кауки и Клайвом Гауки исполнила песню "Xemx" на телемосте в честь 50-летия независимости Мальты. За последние месяцы она также была гостьей различных мальтийских ТВ шоу, включая Xarabank и Malta Llejla TV Show. С другими видео выступлений Федерики можно познакомиться здесь и здесь. "Я бы солгала, если бы сказала, что моя жизнь ничуть не изменилась за последние месяцы. В прошлом июне, я посетила Изола-ди-Капо-Риццуто в Калабрии, Италия, и люди останавливали машину со мной, чтобы поговорить и сфотографироваться. Но в конце-концов, я все та же Федерика, что я была до того, как я стала столь успешной. Мои друзья рады за меня, они относятся ко мне также как и обычно, как и должно быть. Успех не должен никого менять"
Федерика любит играть в гандбол в школе и смотреть футбольные матчи. Ее любимый телеканал - канал Disney. Любимые места для отдыха - Англия, где когда-то жила ее семья, и Италия. Ее музыкальные кумиры - Джозеф Каллея, Род Стюарт, Сэм Смит, Лана Дель Рэй, Сара Брайтман и Джон Ледженд. Песня Федерики для Детского Евровидения написана в редком для этого конкурса стиле поп/опера и будет исполняться полностью на английском языке. Ее авторы - Матт Муксу Мерчека и композитор Элтон Зарб при помощи педагога по вокалу Джиллиан Аттард, та же команда, которая создала и прошлогоднюю песню-победительницу Гайи Кауки "The Start". Джиллиан Аттард рассказывает о том, что песня Федерики "супер эмоциональна", и у нее каждый раз бегут мурашки, когда она ее слышит. Раскраска голоса Федерики и глубина текста песни воодушевили музыкантов на сочинение подобной песни, рассказывает Элтон Зарб. Матт Муксу Мерчека добавил, что "для того, чтобы добиться своей мечты, нужно пройти через препятствия и подняться выше всего, для того, чтобы найти выходи из шторма, и позволить миру увидеть свет внутри тебя". - Привет, Федерика, прежде всего наши поздравления с тем, что ты стала представительницей Мальты на Детском Евровидении! Как ты узнала о том, что поедешь на конкурс, и какой была твоя первая реакция на это известие? - Когда мне сказали, что я буду представлять Мальту на Детском Евровидении, я была безумно рада. Я очень горжусь тем, что буду представлять свою страну. Меня выбрали на конкурс после победы в телешоу Ti Lascio una Canzone на итальянском телеканале Rai Uno. - Расскажи нам о своей песне, какой посыл она несет? - Она называется Diamonds (Бриллианты), и у нее очень важный месседж - она говорит о том, что нужно бороться за выполнение своей мечты, ведь мечты не бывают недостижимыми. Мне очень нравится моя собственная песня, и я надеюсь, что и другим она также понравится. - Как она была создана, ты принимала участие в процессе ее написания? - Да, я тоже участвовала. Мы вместе с автором текста сидели вместе, и придумали фразу "вместе мы можем сиять, как бриллианты на небе". Вообще, мне было бы интересно в будущем больше поучаствовать в написании песен. - Ты уже сняла видеоклип на свою конкурсную композицию, что для тебя стало самым запоминающимся моментом со съемок? - О, это очень легко ответить. Мне нужно было забегать в море в платье. Это было сумасшедшим. И очень неудобным, потому что, когда я выходила из воды, ко мне прилипал песок. Я не могла дождаться минуты, когда я смогу переодеться. - Вы уже распланировали, каким будет твое сценическое выступление? Будут ли у тебя какие-то танцоры, или ты будешь одна на сцене? - Я буду выступать одна. В данный момент мы концентрируемся прежде всего на занятиях по вокалу и хореографии. Мы очень часто занимаемся с моим педагогом по вокалу. Это очень важно до того, как я смогу начать репетировать на большой сцене и мы приступим непосредственно к сценической постановке номера. - Сложно ли для тебя держать твой голос в отличном состоянии для такого выступления, как требует твоя песня? Какие-то особые секреты? - Есть много специальных рецептов. Несколько раз в день я должна делать специальные вокальные упражнения. Также, есть несколько запретов на отдельные виды еды и напитков. Например, категорически нельзя пить холодное, вода должна быть только комнатной температуры. - Уверен, что ты следила за Детским Евровидением в прошлом, были ли у тебя какие-то фавориты, помимо мальтийских песен? - Мне очень нравилась песня Швеции на конкурсе 2009 года, Du Мимми Санден, а в прошлом году - песня Грузии - The Smile Shop - Give me your smile. - Наверняка ты уже общалась о Детском Евровидении с Гайей и другими бывшими представителями Мальты, получила ли от них какие-либо советы? - Да, у нас с Гайей один педагог по вокалу. Я кричала от радости, когда она победила в прошлом году. Она мне рассказала многое, что мне следует ожидать на Детском Евровидении. Но, лучший совет, конечно, это просто выложиться на все 100%. - Тебе интересно, кто представляет другие страны на конкурсе, слушала ли ты песни других участников? - Я с нетерпением жду встречи с другими участниками. Больше всего мне нравятся песни России и Болгарии. - Показать все, на что я способна. Уровень конкурса в этом году очень высок, и я не знаю, каковы мои шансы на победу. Но, что бы не случилось, я хочу иметь возможность впоследствии сказать, что я сделала все, на что была способна. - Ты представляешь на конкурсе страну-организатора. Добавляет ли это дополнительной ответственности? И предпочла ли бы ты выступать на шоу, поехав в какую-то другую страну? - Я думаю, что в том, что я выступаю в родной стране, есть определенные преимущества. Я очень надеюсь на поддержку зрителей в зале. Я думаю, что мои родители тоже очень рады тому, что конкурс пройдет на Мальте. Они и так уже провели несколько месяцев в поездках в Италию, где я выступала на Ti Lascio una Canzone, и они очень рады, что на этот раз им не придется куда-то лететь. - Расскажи нам, как выглядит твой обычный день? Чем ты занимаешься и как проводишь свободное время? - Большую часть моей жизни занимает музыка и учеба в школе. Но мне нравится и проводить время с друзьями. Мои хобби - рисование, поделки, также я люблю кататься на велосипеде и смотреть футбол. - Пока мне удается хорошо планировать свое время. Но, конечно, в неделю конкурса Детское Евровидение встанет на первое место, и мне придется пропустить немного занятий в школе, но я надеюсь взять конспект у моих друзей, и быстро их нагнать впоследствии. - Тебе вообще нравится учиться? Какие у тебя любимые предметы? - Мне нравится искусство, техника и науки. Я говорю на мальтийском, английском и итальянском, и недавно приступила к изучению испанского. - Ты планируешь продолжать работать в будущем в жанре поп-оперы, или хотела бы немного поэкспериментировать? - Я хочу исследовать все виды музыки. - В твоем репертуаре много еще оригинальных песен, помимо "Diamonds"? Есть ли планы в ближайшем будущем выпустить что-то новое? - У меня есть еще одна песня, на мальтийском языке, но мне хотелось бы поработать еще над расширением своего репертуара. - У тебя есть какие-то кумиры, или просто любимые исполнители, от кого ты черпаешь свое вдохновение? - Я большая поклонница мальтийского тенора Джозефа Каллейя, у которого есть поклонники по всему миру. Мне нравятся также Сара Брайтман, Род Стюарт, Сэм Смит, Джон Ледженд и Лана Дель Рэй. - Рассматриваешь ли ты на будущее какую-либо другую карьеру, помимо пения, и что бы это могло быть? - Пока рано давать ответ на этот вопрос. В настоящее время я просто люблю петь. - Поскольку мы скоро приедем на Мальту, можешь дать нам какие-то советы по достопримечательностями страны? Какие твои самые любимые места? - Я думаю, что, когда вы приедете, погода все еще будет солнечной, поэтому вам надо побывать на прекрасном пляже в Меллиехе. Также интересно посетить города Мдина, Биргу, столицу Валлетту, Великую Гавань и Голубой Грот. И, конечно, обязательно попробуйте пастицци - пирожки с сыром или бобами. - Спасибо за интервью, удачи в подготовке и до скорой встречи на Мальте! 7го ноября Федерика Фальцон вновь станет гостьей популярного шоу Xarabank на телеканале TVM 1, которое ведет Пеппи Аццопарди, где она впервые исполнит вживую свою конкурсную песню "Diamonds". Шоу выйдет в эфир с 20:50 до 23:20 местного времени, и за ним можно наблюдать в прямом эфире здесь. Вчера Федерика посетила церемонию празднования Gieh l-Imqabba, которая проходила в рамках ежегодных мероприятий, посвященных Jum l-Imqabba. Вечер был организован местным советом деревни Мкабба, и состоялся в помещении местной средней школы, которая является структурным подразделением колледжа им. Св.Бенедикта. Школа в которой занимается Федерика, расположенная в соседнй деревне Киркоп, также входит в состав этого института. Исполнительный секретарь Энтони Бонелл объяснил собравшимся, что "в этот вечер мы отдаем почести выдающимся гражданам нашего округа". Федерика Фальцон, чьи родители родом из Мкаббы, получила специальный приз за свои международные достижения, включая победу на итальянском телешоу Ti Lascio Una Canzone. После того как вице-мэр Мкаббы Шарлен Заммит вручила Федерике почетный знак, местный оркестр исполнил несколько отрывков произведений, исполненных ранее Федерикой на итальянском шоу. Заммит сказала, что Федерику "необходимо отметить за ее талант, и поощить ее желание продолжать музыкальную карьеру". Она также отметила, что "все жители округа были прикованы к экранам своих телевизоров, когда Федерика выступала на Ti Lascio Una Canzone, и, конечно же, сделают то же самое и во время финала международного конкурса Детское Евровидение". Недавно назначенный капеллан округа, Преп. Джон Курми, добавил, что он также уже прослушал песню Diamonds, с которой Федерика будет представлять Мальту на Детском Евровидении 15 ноября. "У Федерики очень красивый голос, и подобные мероприятия сплачивают вместе все жителей нашего округа, поддерживающих талантливую певицу". Представлена последняя песня из принимающих участие в Детском Евровидении 2014 - "Diamonds" Федерики Фальцон из Мальты. Последняя песня Детского Евровидения 2014 - "Diamonds" Федерики Фальцон, будет презентована завтра, в пятницу 17го октября, в 14.00 Москвы в родной школе певицы - колледже св. Бенедикта в Хал Киркопе. Более трехсот учеников школы будут присутствовать на презентации, которая также будет транслироваться в прямом эфире онлайн. Сразу же после этого видеоклип будет размещен и на официальном Youtube канале Детского Евровидения. "Видеоклип рассказывает об амбициозной творческой девочке, которая достигает своих целей. Стиль видео сюрреалистический и абстрактный. Действие его происходит в двух различных местах. Первая часть видео показывает Федерику в белой комнате, которая представляет собой внутренние мысли девушки. Вторая часть видео снята на пляже, где девушка искала свои мечты. Песня и видео используют бриллианты как метафору, чтобы предположить, что никакая мечта не находится вне пределов досягаемости, пока человек верит в нее"
"Эта песня немедленно вдохновила меня! У меня тоже много мечтаний. И, хотя с первого взгляда, некоторые из них могут казаться недостижимыми, если работать над ними, они могут стать реальными", говорит Надя Качия, режиссер видеоклипа. Съемки клипа на песню Diamonds организовала компания VSquared Media and Entertainment по заказу телекомпании PBS. Федерика Фальцон, которая будет представлять Мальту на предстоящем конкурсе Детское Евровидение с песней Diamonds, приняла участие в съемках видеоклипа на песню "Happy", которые были произведены компанией Dr.Klown. Dr.Klown была основана в 2010 году с целью подбодрить маленьких детей, выздоравливающих в больнице Mater Dei. Видео было снято и отредактировано Николь Табоне и Виктором Абела, которые работают в качестве врачей-клоунов. Абела вместе с Крисом Аццопарди также стали операторами видеоклипа. Цель видеоклипа, в первую очередь, рассказать, чем занимаются врачи-клоуны; предлагают улыбки и подарки детям в детских палатах в Mater Dei. Они пытаются дать этим детям альтернативную форму медицины... И это - лечение смехом. Другая цель этого видео - призвать общественность присоединиться к врачам-клоунам 18 октября в Слиме. Это будет первый в истории официальный день Dr.Klown на Мальте. Врачи-клоуны встретятся с публикой, будут развлекать собравшихся, а также рассказывать о своем опыте работы. К ним присоединятся различные Мальтийские звезды. "Я чувствую себя счастливой, что смогла принести радость другим детям, особенно тем, которые проходят лечение в больнице", сказала Федерика Фальцон после съемок. Федерика, победительница Детского Евровидения 2013 Гайя Кауки, представитель Мальты на Евровидении 2013 Джанлука Беццина и другие популярные личности, такие как Рон, Сальву, Кармело Абела и Дэвид Аджиус сыграли в ролике эпизодические роли.